While the concept of an automated home was conceived over 80 years ago, various technical limitations have meant that a truly connected home was unimaginable for the average consumer. 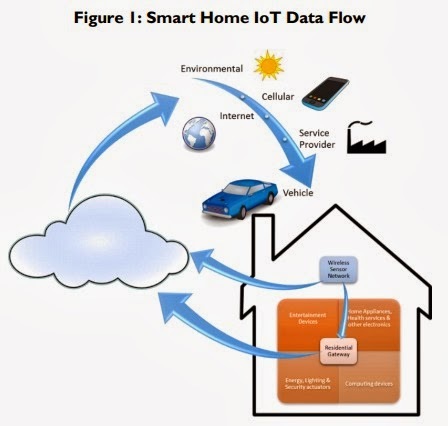 However, with the advent of mass-deployed broadband Internet connections and the application of wireless technology, today smart connected devices in the home are a very real possibility. Juniper Research now forecasts that revenue generated from Smart Home Services are likely to reach a global market value of $71 billion by 2018, that's rising from $33 billion last year, according to their latest global market study. Their market study findings also found that nearly 80 percent of total Smart Home Service revenues will come from entertainment related services by the end of the forecast period. As connection speeds have increased, broadband service providers are able to offer greater volumes of content, delivered with increasing convenience. According to the study, growth has been spurred by the emergence of high-profile OTT (Over-The-Top) video content providers such as Netflix, LOVEFiLM and Amazon Instant Video, while demand is being further fueled by mass adoption of connected TVs. While the smart TV market is just beginning to take hold, the pay-TV set-top box and the console remain popular options for users to connect their TV sets to the Internet and access both subscription services -- as well as pay-per-view, download-to-own and rentals. Juniper found that 4K ultra high-definition video services -- and an array of Internet of Things (IoT) smart home devices -- will place the network under additional strain. Therefore, stakeholders will need to rapidly ensure that their networks are modernized and transitioned from legacy technologies such as IPv4 and CGNAT, if they are to remain a viable player in meeting consumer expectations. Industry collaboration between stakeholders is crucial to realizing the potential of the Internet of Things -- no single stakeholder is likely to be able to dominate, thanks to the number of vertical applications within the home. Security and Control elements of the Smart Home will reveal a broadband service provider opportunity approaching $12 billion by 2018 as automation elements are added to service propositions. Nevertheless, broadband service providers must examine the real value add in order to capitalize on this nascent market opportunity.